As the Teaching Excellence Framework (TEF) moves into its third year, universities and students are becoming more familiar with the government’s new university rating system. With the year 2 ratings released in June 2017, the majority of HE providers in the UK now have a Gold, Silver, or Bronze TEF rating. A consortium of students’ unions have come together to better understand what students across the UK think of TEF and of ‘teaching excellence’. Together with trendence UK, they have conducted the UK’s largest research project to date on students’ views of the TEF metrics. 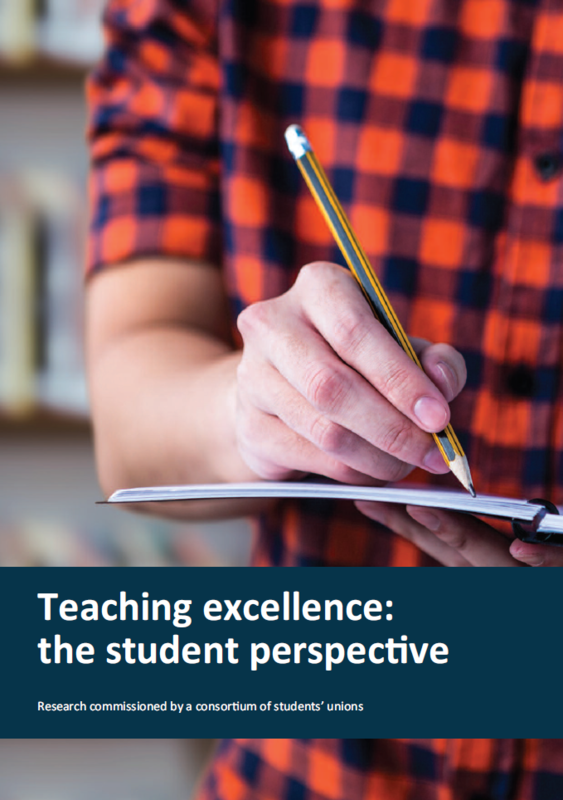 This survey was conducted so that we can hear students’ voices on what they think of the TEF, how students themselves measure ‘teaching excellence’, and how the framework could, in its current incarnation, change the way students perceive the value of their universities and their courses. This summer we questioned thousands of current university students, asking them to answer a range of questions about teaching experience and to give their opinions of the TEF. Some of the questions were straightforward and quantitative, others were open-ended and qualitative. This report summarises the findings.